The following XBlocks are available to customers of the Appsembler Tahoe SaaS platform. Over time, documentation linked externally on this page will be rewritten to be more user-friendly for our customers and provided on this site instead. If you want to know more about enabling or using any of these XBlocks, simply contact support. 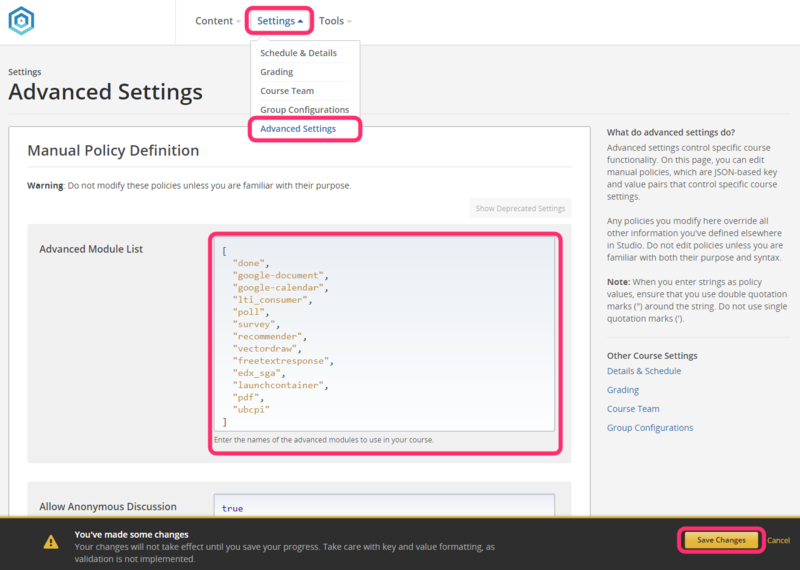 To quickly enable all of these XBlocks, go in Studio to Settings and Advanced Settings and paste the following into the Advanced Modules field at the top of the page as pictured below. Ensure you Save changes once you're done.